A delightfully pale coloured Rosé. Delicate red berry aromas combined with a flinty note are prominent on the nose. The palate is soft with a lingering fresh acidity on the aftertaste. Traditionally the wine is served chilled on its own, but also marries well with spicy, tuna-based sushi. It is a well-known Rosé varietal used in regions such as Provence and the Rhône valley in France. 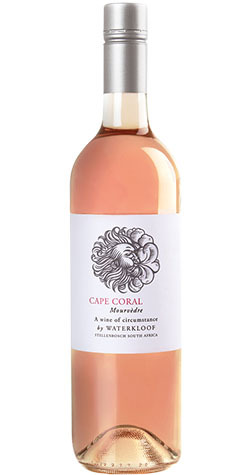 Our Circumstance Cape Coral Mourvèdre is produced from grapes in the Stellenbosch wine growing region, characterized by relatively mild winters and long warm summers. The vines are cultivated under dryland conditions and planted in cool, deep red soils which provide adequate water for this late ripening varietal.